War Stories are the fun, awful, tough and unique occurrences that lawyers and parties in litigation get to experience and live to tell about it. At water coolers and break rooms throughout the world lawyers regale anyone who will listen about that time they…(this series will include a few of my own). Facts: This was an initial Child Custody case, which means the Court must consider the Albright Factors. Dad had temporary custody due to prior child neglect allegations against mom. Mom was required to pay child support pursuant to this Order. Mom called her mother (Grandmother) to testify to corroborate that mom is good, dad is bad, and custody should be with mom. On direct examination, that is when mom’s attorney was questioning grandmother, she did fine. She said mom was good, dad was bad for reasons including; he was not around and did not support the child, and that the child should be with mom. On cross-examination, that is when I get to ask questions, the tone changed. From the jump Grandmother was defensive and combative. This was a mistake on her part. She should have stayed calm and exuded confidence, not anger. Even if she had to fake it. Upon questioning about the neglect allegations grandmother downplayed them as a misunderstanding and had a story which completely excused mom’s conduct. The problem was there had already been 3 prior witnesses which contradicted this, one of whom was mom! Certainly they had to have had a discussion prior to court. Next, grandmother took dad to task for “not supporting” the child, but her only “proof” was anecdotal. Nonetheless, she concluded he was no good because he was not supporting them and she knew this because mom told her so. Grandmother changed her tune about a parent being no good for not supporting the child however, once my questioning revealed mom had not paid child support in months, though ordered. It was different for some reason, but she could not be explain how. Lastly, Grandmother had no real complaints about dad’s care-giving the last several months when he had custody and reluctantly admitted the child was doing well. She was also extremely evasive about mom’s new beau and that person’s involvement with the child. It was obvious she was trying to avoid giving that testimony. Grandmother should not have testified. She added nothing and ended up undermining mom’s case. The only way to have known this would have been to thoroughly prepare her for direct and cross-examination and taking the time to view the case from both parties’ perspectives. 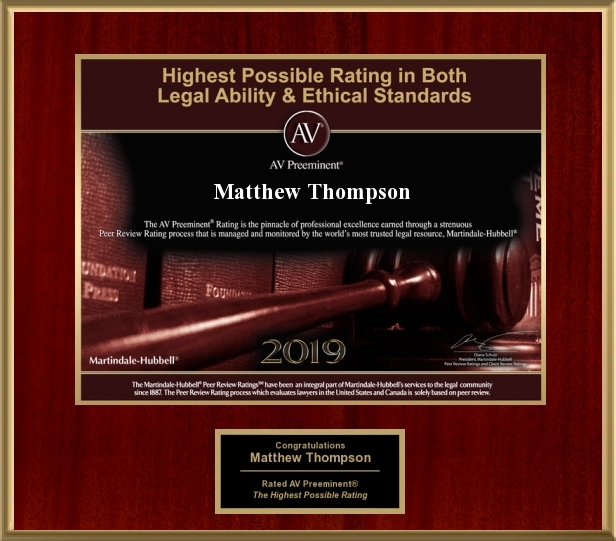 Matthew Thompson is a family law attorney in Mississippi and assesses your case from your perspective, as well as how the other side may approach it. Previous PostChange, Change, Change…Change of Child SupportNext PostHappy Mother’s Day!